Who smokes in the US? 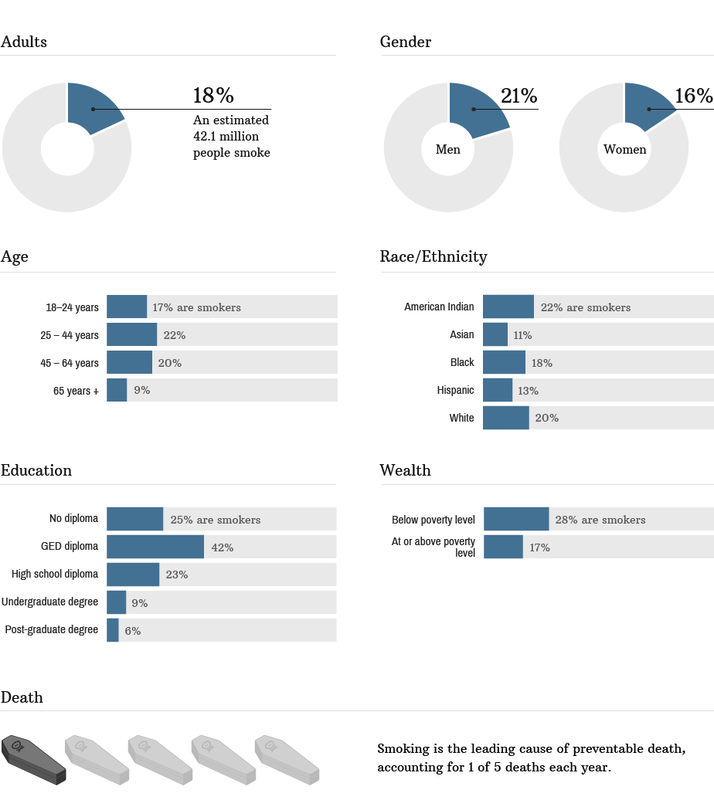 The percentage of U.S. adults who smoke by gender, age, race, education and wealth. Shares of CVS fell after the drug store chain said it would stop selling tobacco products. That's a short-sighted reaction from Wall Street. In the modern economy, credit is king, according to Pimco's Bill Gross.